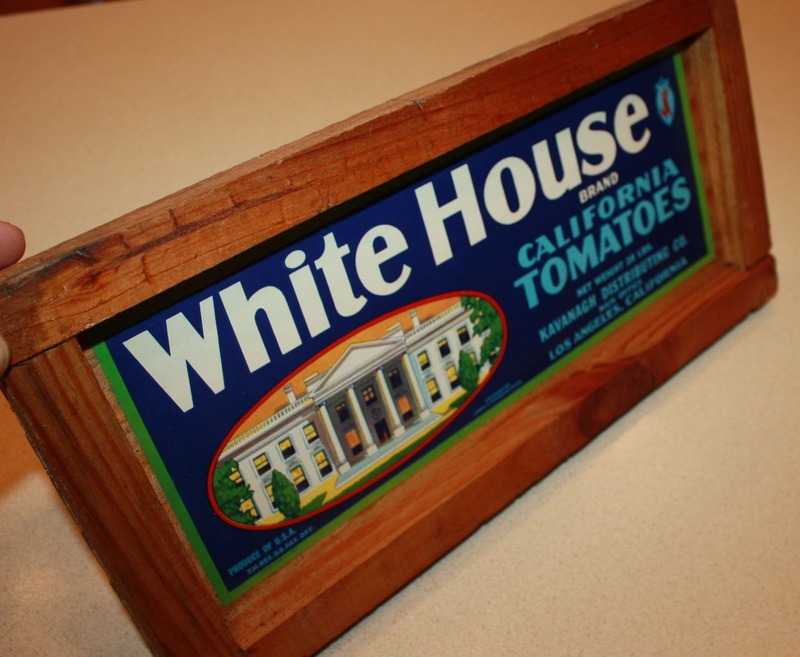 Antique Wooden Tomato Crate Sign! 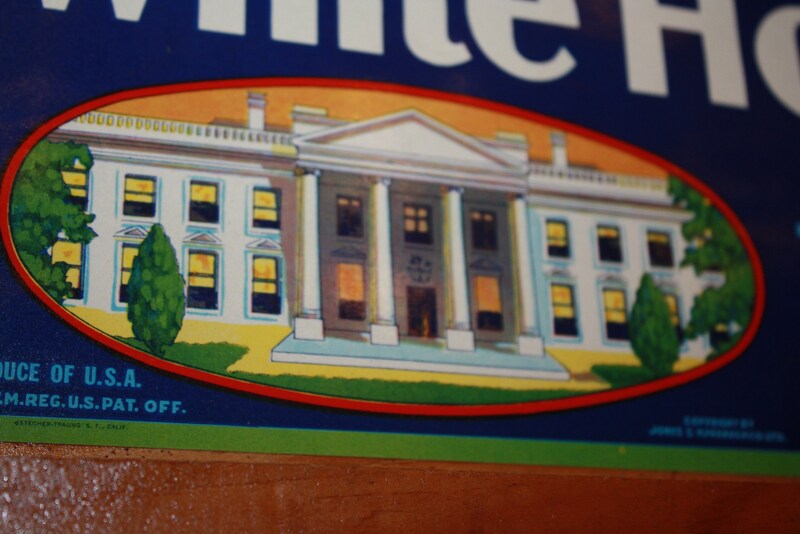 Original Old White House Brand Label on Crate End! 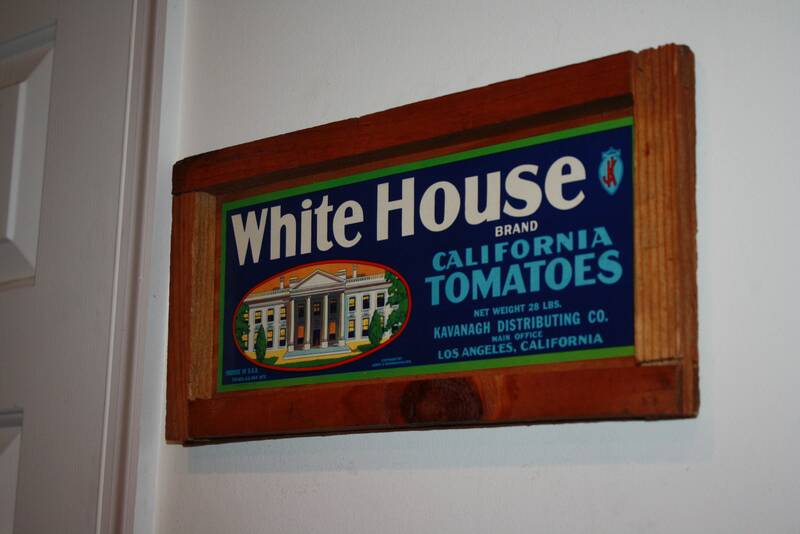 Authentic, 1940s White House Brand California Tomatoes label on an old end from a wooden crate! 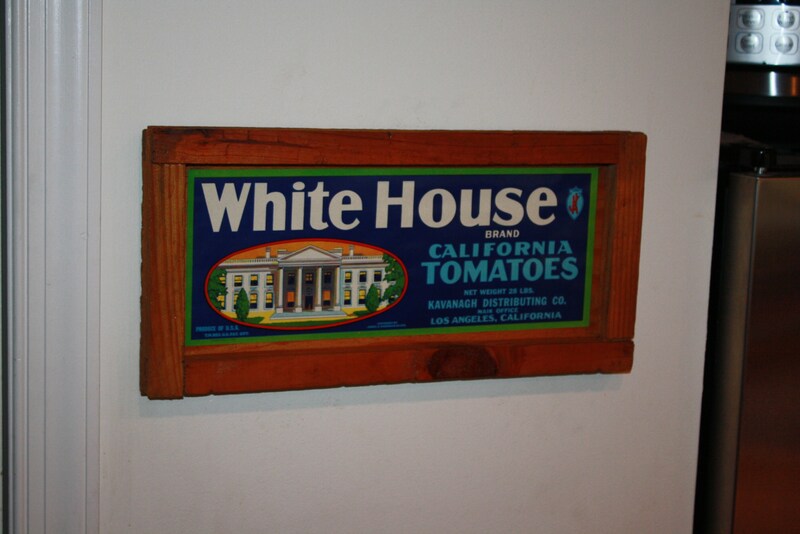 Colorful with nice graphics, it's in great shape and makes a gorgeous kitchen wall sign! 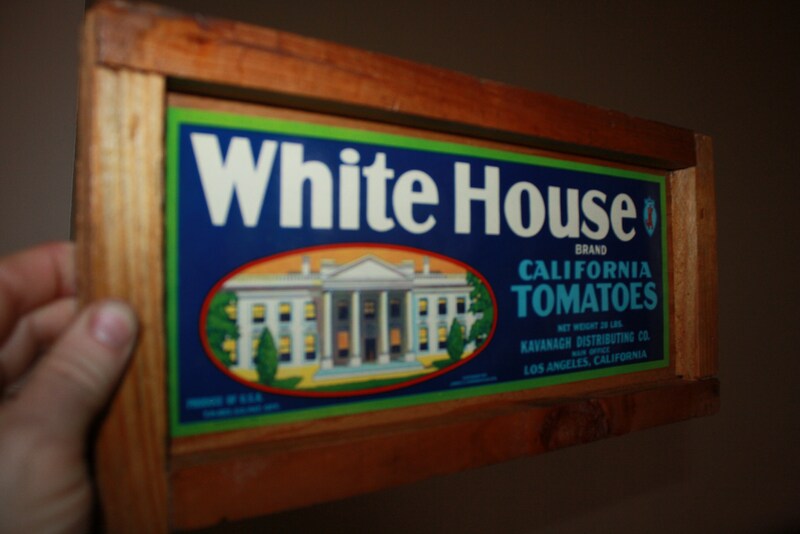 It measures 15 3/8" long and 7 1/2" high and has the label inset, framing it nicely. 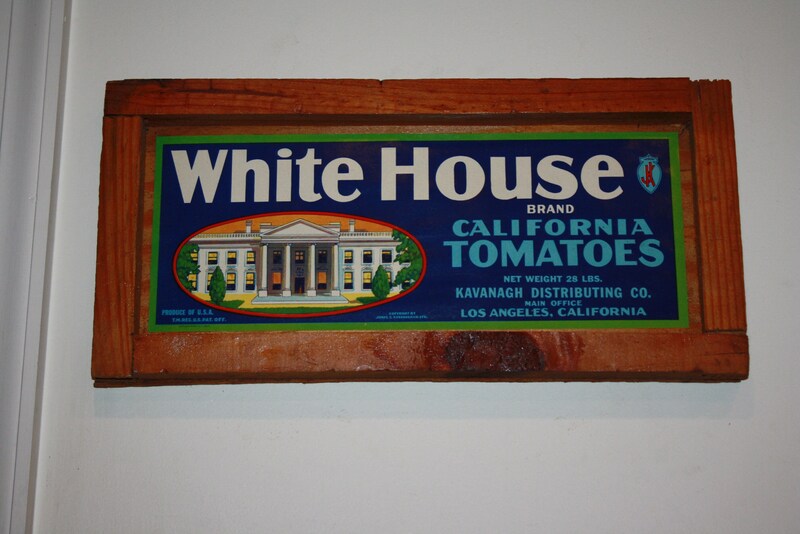 It reads "White House Brand California Tomatoes; Net weight 28 pounds. 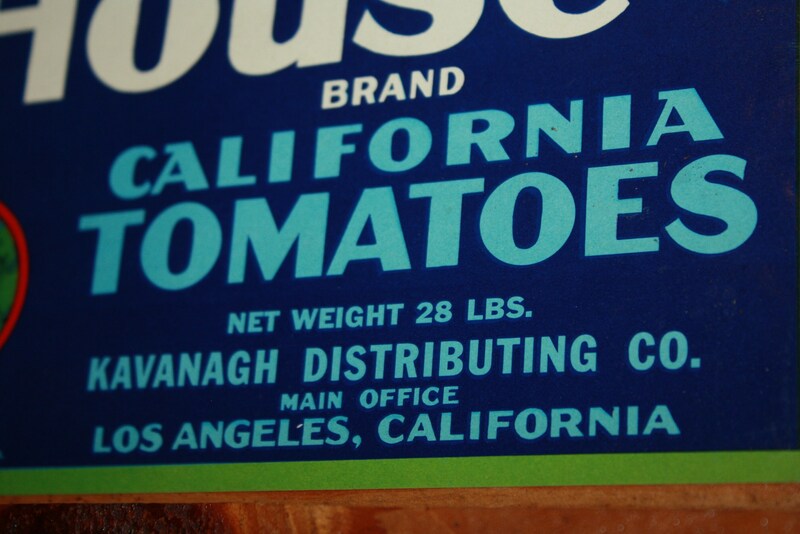 Kavanagh Distributing Co., Main Office, Los Angeles, California." 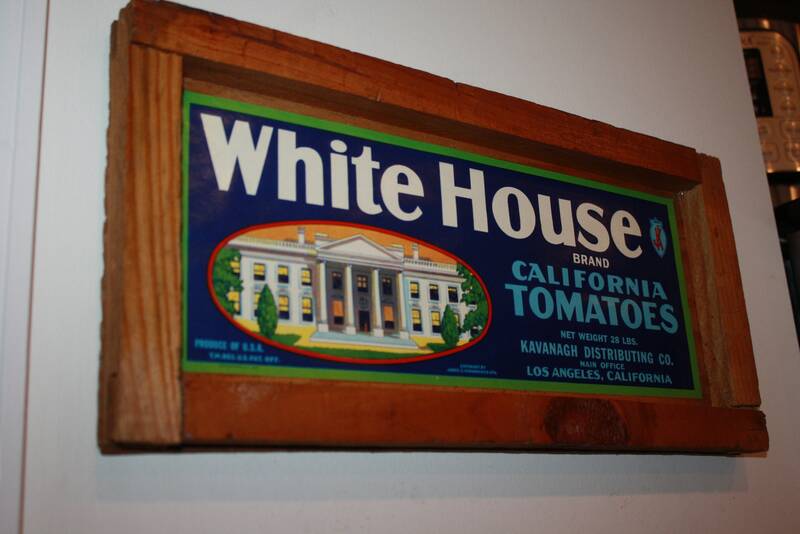 We found some deconstructed old crates in a barn and thought it would be nice to repurpose them as decor. 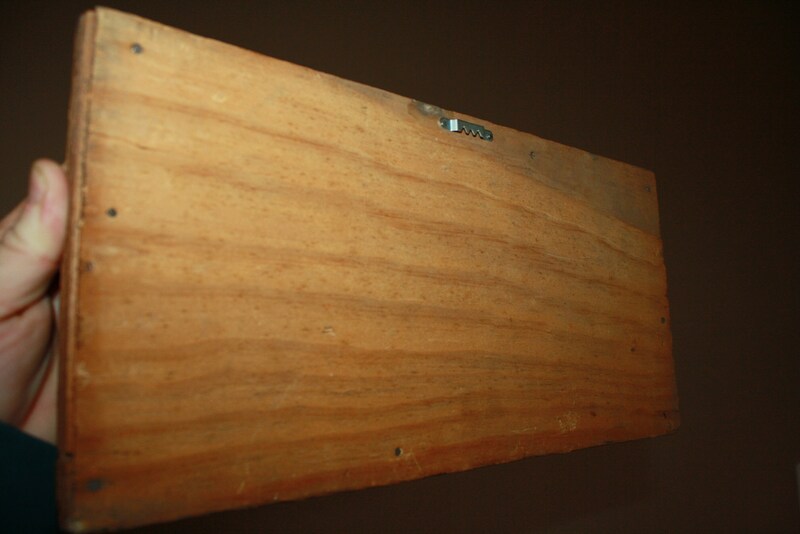 Well constructed with jointed corners, the only thing we added was a metal wall hanger on the back so you can immediately display it! Simply fabulous! 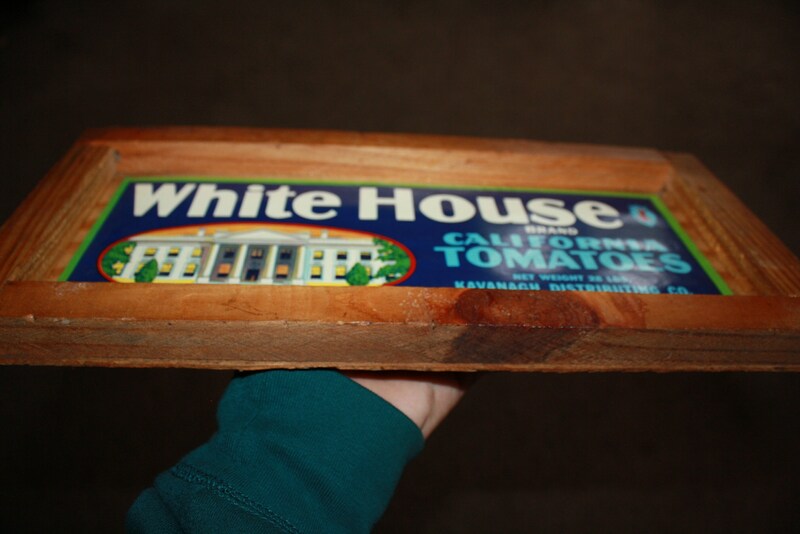 Great gift idea too!